Police are integral to any good trucker story it seems so it makes sense that they’d be added to the CB McHaul line. Pictured here are Speed Johnson (The Smiling Smokey! ), Sgt Brown (The Baddest Bear on Wheels (!?) and Scowlin’ Jack Jones who is listed as “King of the Smokies”. Speed Johnson was only available carded so he’s the toughest of the three. 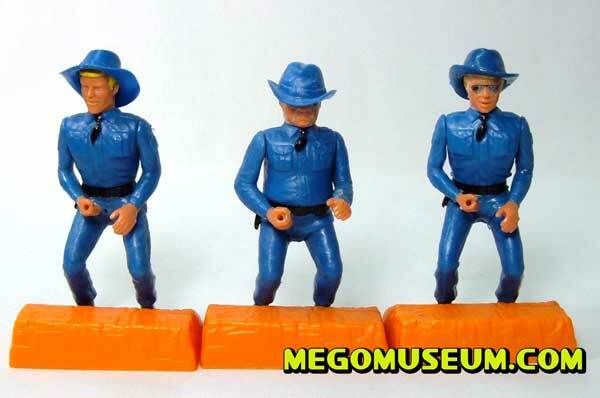 The police torso and hat were later reused for the Mego Dukes of Hazzard 3 3/4″ line. 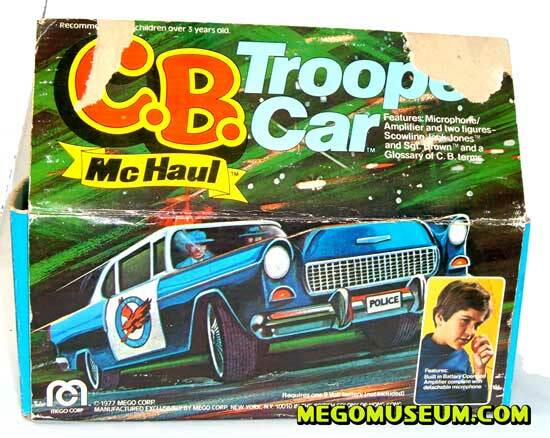 original Mego line artwork of CB and the gang, for more, check out the Mego Reproduction Artwork Gallery The Police Car functioned as a loud Speaker as well and gave you Scowling Jack and Sgt Brown figures. 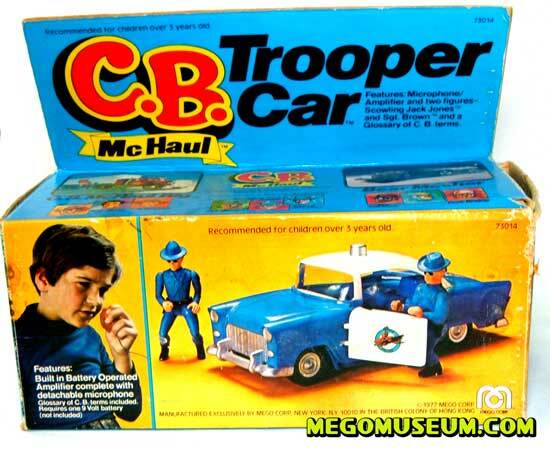 Mego later recycled the car for the Dukes of Hazzard and CHiPs figure lines, although they removed the loud speaker. 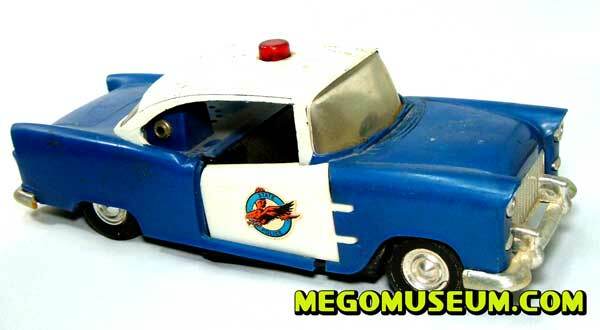 Eventually Mego designed a more modern looking police car for those figure lines. The car contained two figures, the CB microphone (the car is the amplifier) and a glossary of CB terms. Sadly, I’ve yet to find those in any package.